Each month Air France/KLM’s loyalty programme Flying Blue releases new Promo Awards. These are redemptions you can make exclusively online and allow you to save up to 50% off the standard Miles requirement. Awards are available for Economy, Premium Economy and Business Class, with the current round offering dates for travel between 1st May – 30th June 2018 for most destinations. Discounts vary between 20%-50%. For this month’s destinations you have until 31st March to book, although availability is naturally limited. 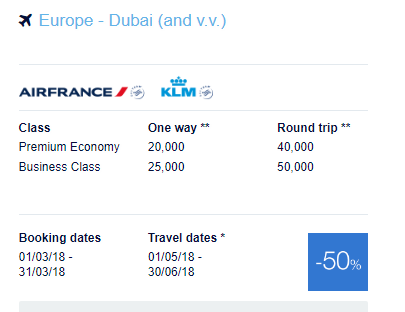 As you can see, with the discount, you’re looking at just 25,000 Flying Blue Miles each way in Business Class. 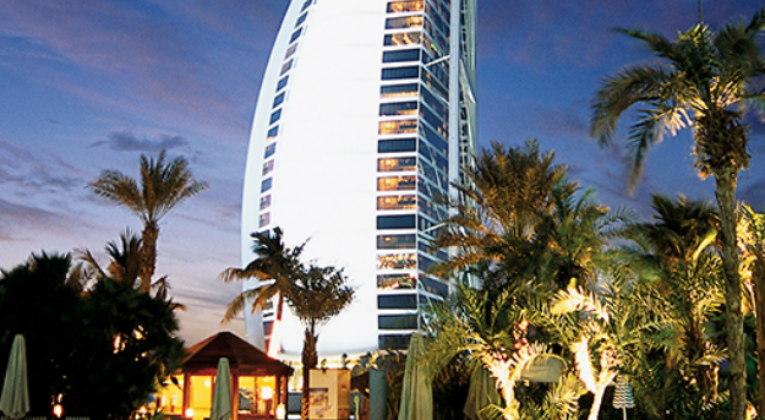 Aside from Dubai, the number of discounted destinations and the level of discount (particularly for Business Class) are both quite disappointing this month, but you can check them all out for yourself here. Economy redemptions get hit by surcharges of about £50 in each direction which isn’t necessarily too bad, although with cheap convenient flights from Norwegian etc these days, the value is unlikely to be great. Business Class redemptions attract surcharges of about ~£180 each way, which is pretty nasty. If you can find a Promo Award where the Miles are heavily discounted though, there is still potentially decent value to be had compared to paying cash or using Avios. You can transfer American Express Membership Rewards Points to Flying Blue at a 1:1 rate, so building a balance is easy. Flying Blue might not be one of the most generous airline programmes, but it does have some interesting advantages and the Promo Awards are usually worth a quick look. Flex Awards are not included in the Promo Awards offer.